Hi all! Today I have a fun craft for you coming from the Little Miss. 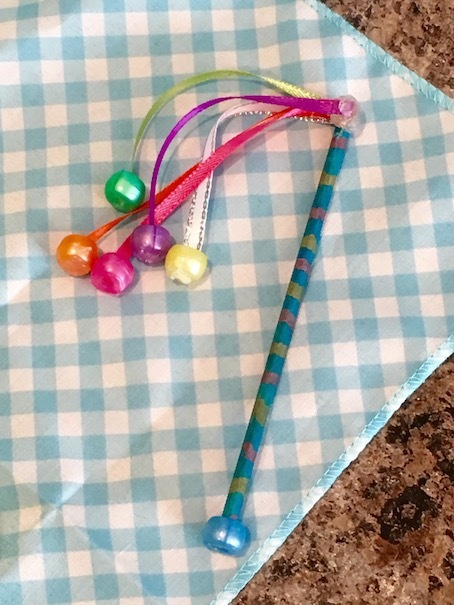 She is going to show you how to make this easy, but pretty baton for your dolls! Ok let’s get started! I will let the Little Miss take over from here. 1.Start by cutting your dowel or barbecue skewer down to the size that you would like your baton to be. You can make it as long or short as you want. 2. Paint or colour your baton in a design that you like. I did a stripe pattern. 3. Next cut five strands of ribbon. I used different colours for mine. Hot glue the ribbons to the end of the baton. 4. Now hot glue a bead to the end of each ribbon. I chose beads that match the ribbons. 5. Hot glue a bead to the other end of your baton for a finishing touch. And you’re done!! 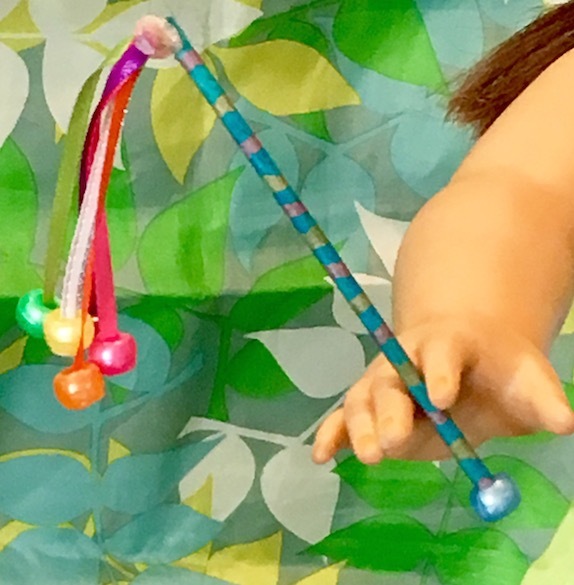 Now you have a fancy baton for your dolls to play with! 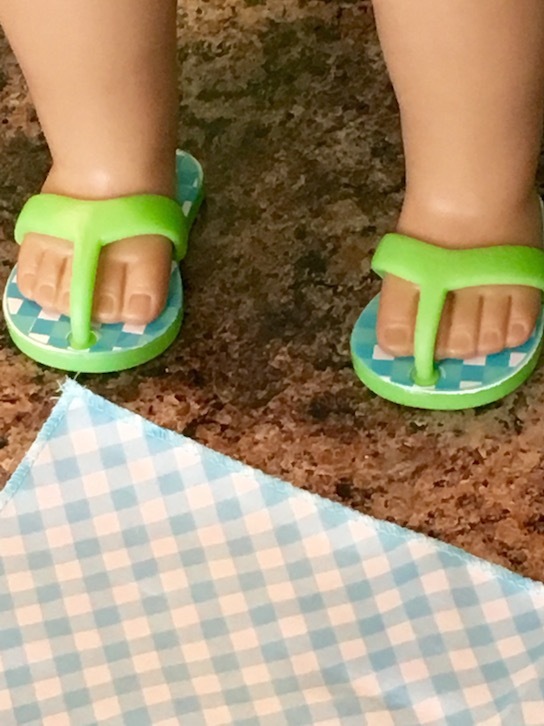 It fits nicely in the doll’s hand! Enjoy!! Awesome craft, Little Miss! ❤ I hope you all have fun making these sweet little batons! Now on to our review! 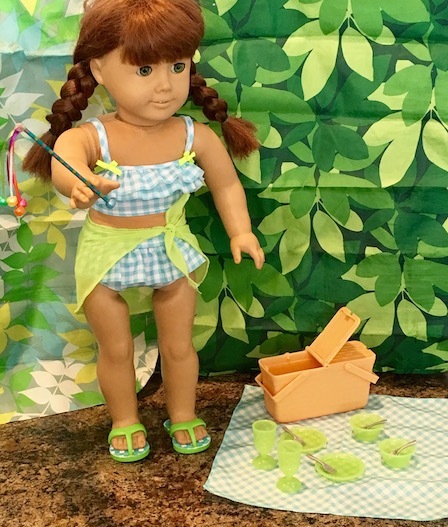 The MyLifeAs brand from Walmart has really been stepping up its game lately, putting out cute, and affordable outfits and accessories for the dolls that are definitely top notch alternatives to the more expensive brands. 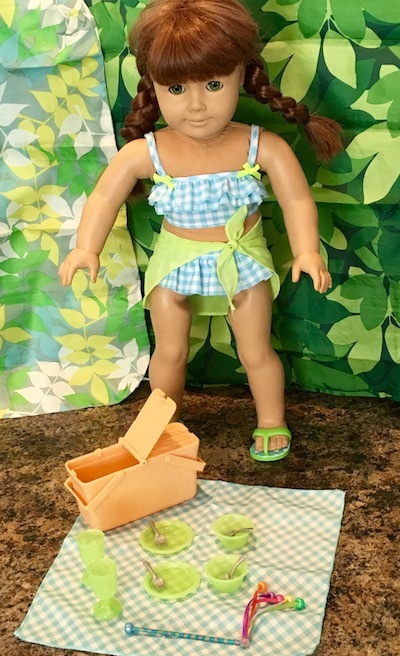 I, for one, am very pleased with their bathing suit selection this year, and when I saw this little blue checkered swimsuit with lime green accents, I was thrilled! 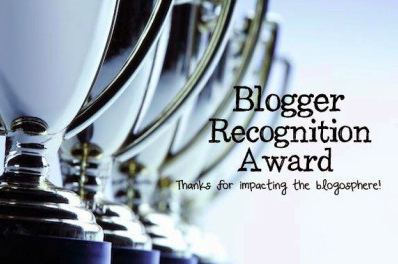 It matches our blog!! LOL! One thing that you have to know about this swimsuit is the quality. I was so surprised at how beautifully made it is. It also fits the doll remarkably well. The top simply velcros in the back. I have to say, the ruffles are adorably sweet! I also really like the swimsuit cover up. Too cute! 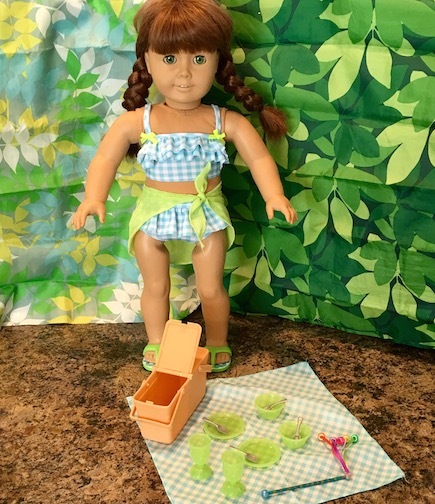 The picnic set matches the swimsuit! I don’t know if that was planned or not. It doesn’t match any of the other swimsuits, so maybe not. 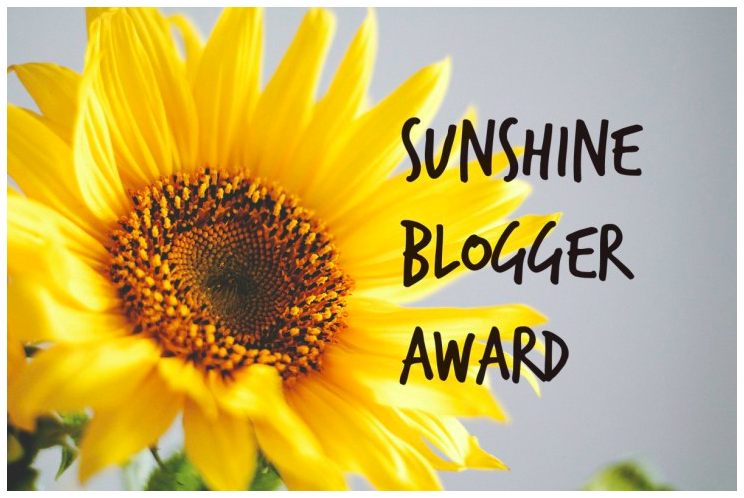 It might just be a fluke. 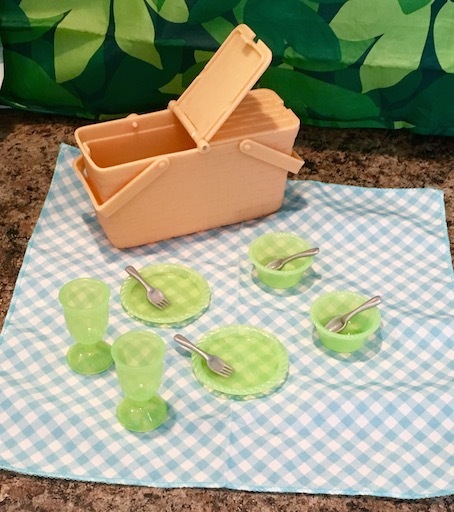 The picnic basket is made of plastic. I feel like that’s the only downfall of the set, but for the price, I really can’t complain. The plates and bowls are a bit small, but everything fits inside the basket nicely, so I guess that’s why. I do think that the basket should be wider. It’s a bit narrow. There isn’t much room left inside once you get all of the plates and cups in there. Here is a close up of the basket. It has a woven basket design set into the plastic. 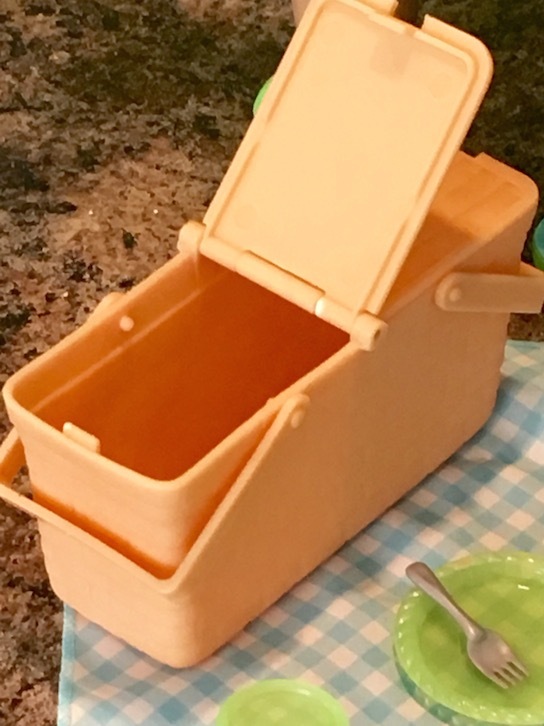 Both sides open and the handles can move. I love the little forks and spoons! The goblet cups are super cute too! 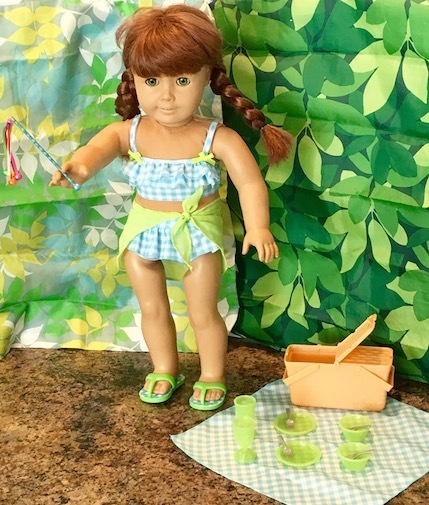 The picnic blanket is made of light cotton. It could have been made a bit bigger as well, but it is cute. Thank you all for coming! I hope you enjoyed our craft as well as our review! 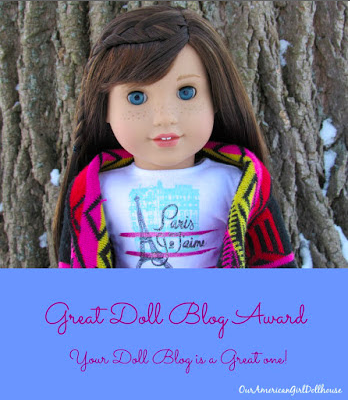 Do you like the MyLifeAs brand clothing and accessories for dolls? 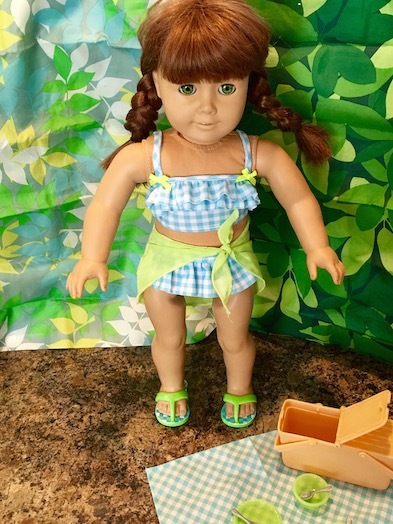 That swimsuit is adorable!! I was at Walmart earlier this week and picked up the romper that you featured on Lea recently as well as the gardening set. I agree that My Life As is really putting the heat on AG! I love that romper! 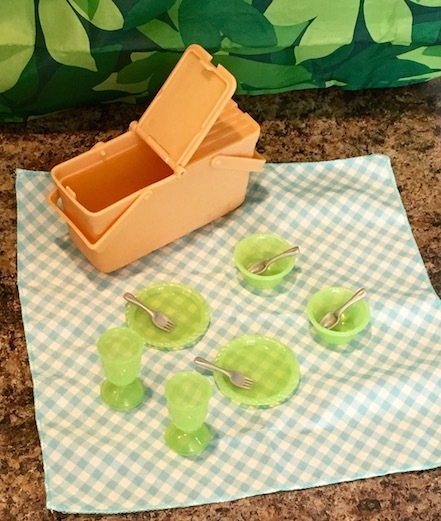 And the gardening set is so cute too! 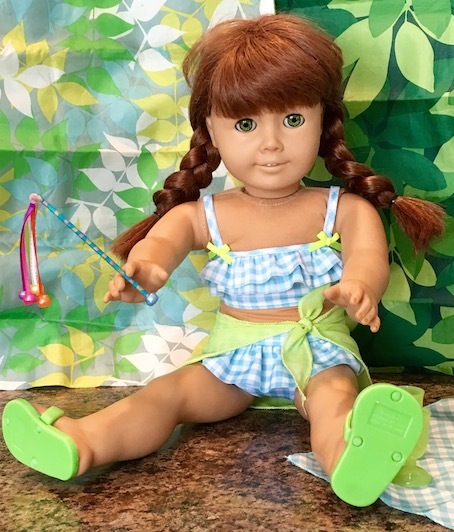 I think that if MyLifeAs keeps paying attention and doing their research, they will continue to do very well on the doll market. I don’t have one of their dolls, but I am told that their hair is quite nice. For the price it might be worth it. 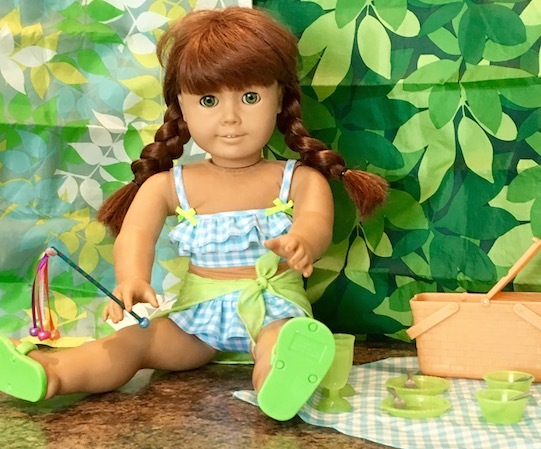 They are definitely a good option to see if your kids like to play with dolls or not, before spending more for an AG.